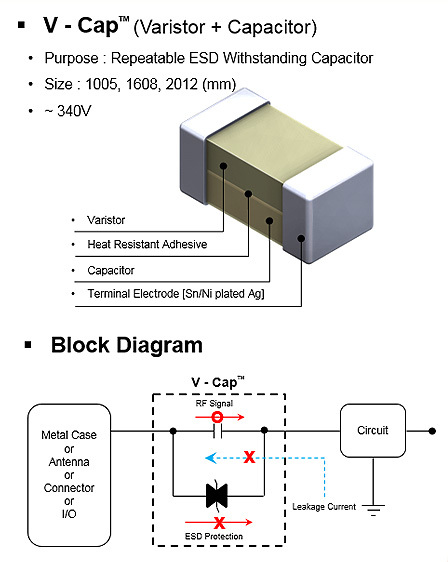 ElaCap (Elastic Capacitor) for RF Filtering & DC-Blocking. 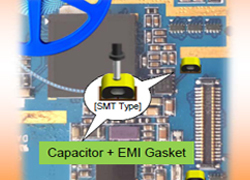 The size is small ( 1608 mm, 2012 mm ), and the Capacitor of ElaCap will be mounted on PCB, then a Metal case will be contacted on the surface of EMI Gasket of ElaCap by compression. It will improve RF performance as a RF Filter and protect DC, Surge and Leakage Current as a Protector between PCB and Metal case (Conductive cover). Newly invented ElaCap will save the space and cost for many applications. for 5G mobile phone, Antenna and Module. It has a lower dielectric constant and high thermal conductivity in X-Y plan up to 40 GHz. LDTS-P series is flexible and is provided a roll packing for knife die-cutting by converting M/C. JTH ‘ series’, from 0603 to 2012 size (mm). 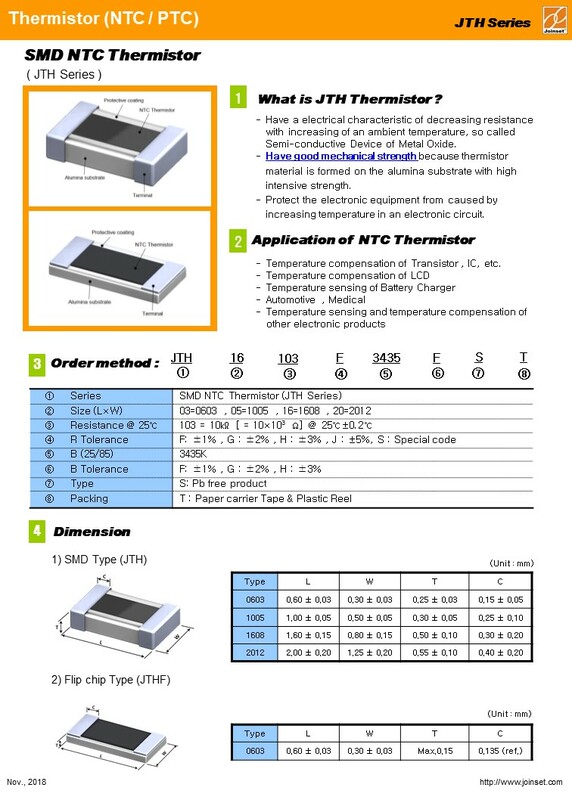 ‘ JTH ’ series consist of sintered alumina body, thermistor layer, protection layer and electrode, so they are very thin and strong. ‘There are two shapes in electrode, one is dumb bell shape (JTH) and other is flip chip shape (JTH-F). Both of them are suitable for mobile and automotive application at where thin dimension and strong mechanical and soldering are required. 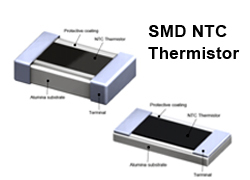 Especially, they may be the best solutions for Plastic Injection Molded Thermistor Sensor Assembly on the Lead Frame or PCB for Automatic Manufacturing Process. 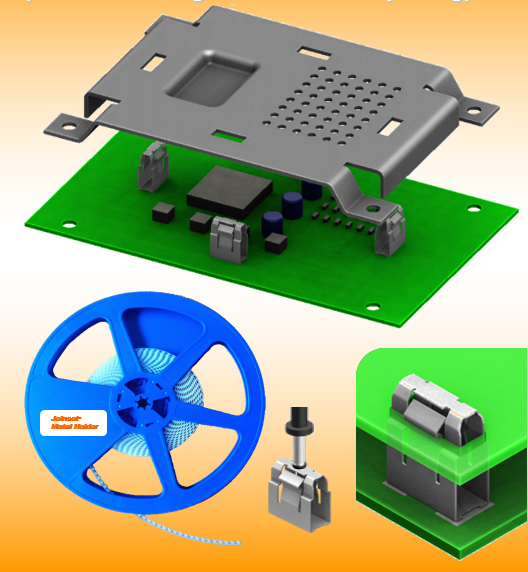 Joinset has developed ‘SMT Metal Holder’ that is Surface Mount Technology (SMT) compatible a metal spring for Shield case or PCB. So, it can be attached on PCB by pick & place, and reflow soldered by solder cream during reflow soldering process. 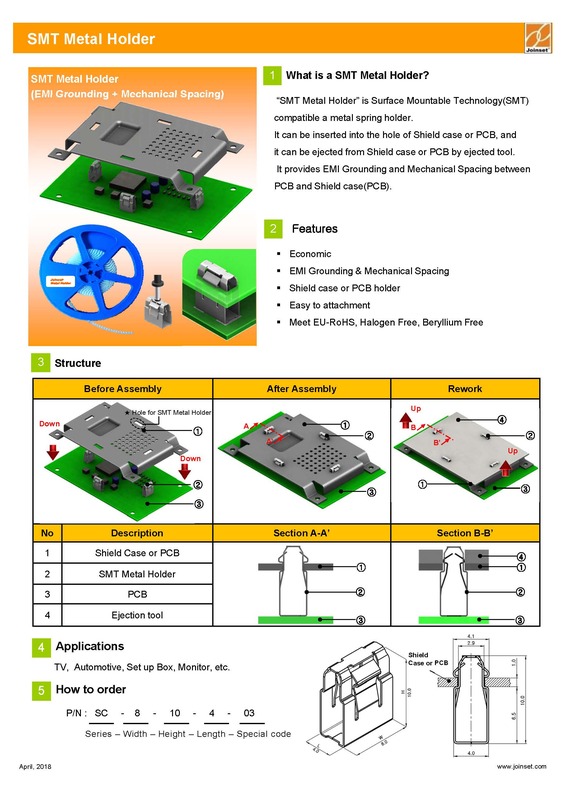 It provides EMI grounding and Mechanical Support between PCB and Shield Case (PCB). Comparing for present methods, ‘SMT Metal Holder’ is useful for reducing cost and expense. 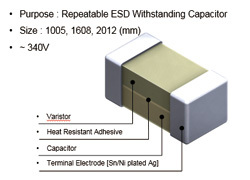 Joinset announce a brand name of ‘ V-Cap ’ that is ‘ Repeatable ESD, Surge & Leakage Current withstanding Capacitors ‘ based on Korea Patent No. 10-1031111 of Apr. of 2011, and others. 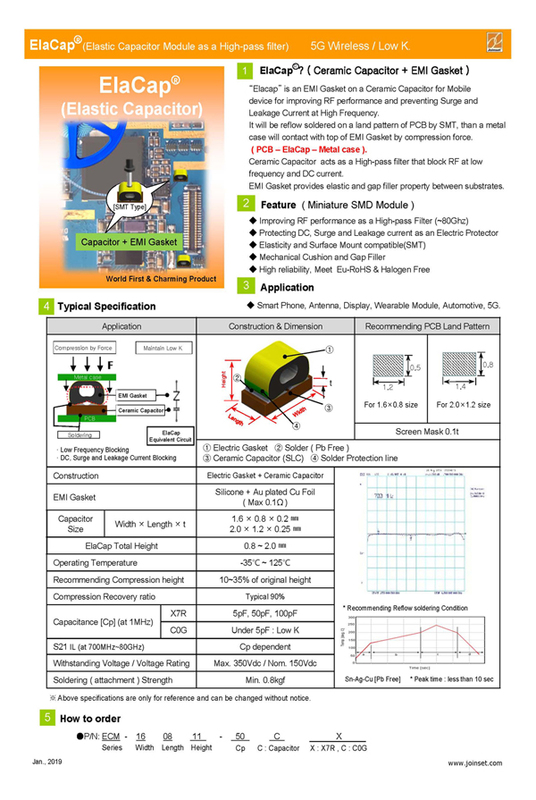 It consists of a stacked Varistor on a Capacitor, so it is more reliable in quality and performance than previous ‘ Repeatable ESD, Surge & Leakage Current withstanding Capacitors ‘ such as ‘ Capacitors having Air Gap ‘. 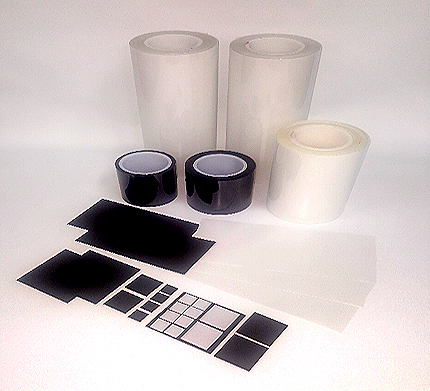 The special construction and materials of ‘ V-Cap ’ provide the best quality and productivity. It is useful for Mobile devices including smart phones to protect ‘Repeatable ESD, Surge & Leakage Current ‘ problem. The dimension is from 1005 size (unit; mm): Width: 0.5mm, Length: 0.5mm, Thickness: 0.5mm. Please send e-mail to info@joinset.com for more information.